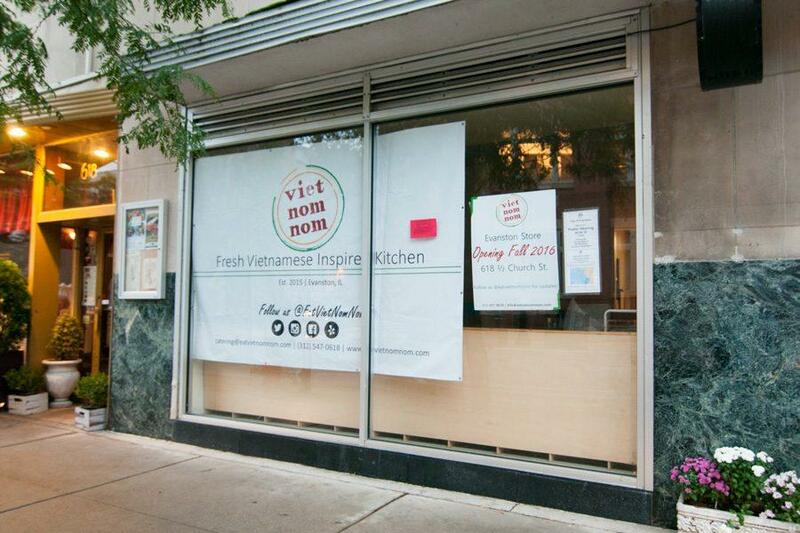 Viet Nom Nom is set to open later this fall at 618 ½ Church St. The restaurant will feature fast, healthy food options. A Vietnamese fast food restaurant founded by a Kellogg School of Management graduate will open in Evanston later this fall with a focus on providing the community with a healthy, inexpensive dining option. Viet Nom Nom is the brainchild of co-owners Noah Bleicher (Kellogg ‘15) and Alan Moy who said they wanted to rectify a lack of quick, healthy food in the community. The two said they’re excited about the potential influence of their restaurant in the neighborhood, which will be located at 618 ½ Church St. The two currently run the business through catering and pop-up locations. Viet Nom Nom has already partnered with hiring organizations within the LGBTQ community as well as with Curt’s Cafe, a group devoted to developing skillsets in at-risk youth. Bleicher and Moy also spoke to NU students at The Garage last week about entrepreneurship and student startup ideas. “We’re trying to make sure that we can set an example both in our kitchen as well as outside the kitchen to do a lot of good work in the community,” Moy said. Bleicher grew up waiting tables and had his first job in the restaurant business as a freshman in high school. He said his experience birthed his love of the restaurant-business culture. “The industry of serving others and making for fun, enjoyable, memorable experiences was something I got exposure (to) from a young age and just fell in love with,” Bleicher said. Weinberg freshman Zury Cutler, who has eaten Viet Nom Nom twice — once during his pre-orientation program and again at Norris at Night — praised the inclusivity of the menu from a standpoint of a vegetarian. “It’s really hard to get really good, flavorful vegetarian food, but both times I was there they had a really awesome vegetarian option,” Cutler said. Viet Nom Nom currently operates with a fairly set and simple menu with accommodations for allergies as well as vegan and vegetarian diets, Moy said, with plans to expand in the future. The menu was crafted after extensive research in cities including San Francisco and Seattle, where Bleicher and Moy visited restaurants similar to what they envisioned for Viet Nom Nom. They observed what did and didn’t work and talked to people about what they were looking for in a restaurant. Viet Nom Nom hosts a pop-up in Kellogg every Thursday, and will also have a table at Big Bite Night, an event in which students are invited to try local Evanston cuisine.